Kim Kardashian has shown off North West's latest adorable look! | HELLO! North West is often seen being mum Kim Kardashian's mini-me with her different hairstyles, and now the mother-daughter pair is taking their look to new lengths. Just a day after her cousin Penelope Disick was seen sporting long braided hair extensions, the two-year-old has followed suit. 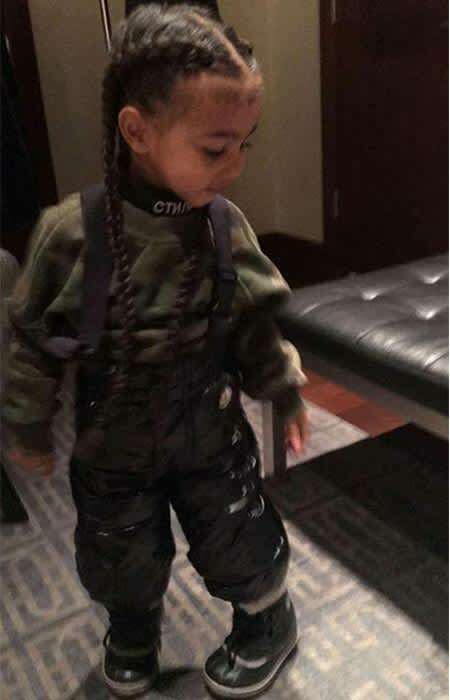 On Wednesday, the tiny tot appeared in her mother's Snapchat video featuring waist-length hair extensions fashioned into braided plaits. Saint West's older sister had the hair extensions fitted during the Kardashian's family holiday to Vail, Colorado. In the video, the little fashionista can be seen rocking her new look while getting ready to go snowmobiling with her mom and relatives. Wrapping up warm for the outdoors activity, the young girl wears a green turtleneck sweater and black ski pants. The double braid style is a look that many of the Kardashian ladies have been wearing recently, especially her mum. Posting a video on her blog in February, the reality TV star revealed that she favours the look as it makes her face look slimmer. She shared, “It first started when I just wanted to not put any heat on my hair, nothing, and just like really braid my hair up and let it, let my hair just kinda breathe from all of the blow-drying and stuff like that, and then I really liked it." The 35-year-old added after welcoming son Saint, “It makes my face look skinny since nothing else really looks that skinny yet." 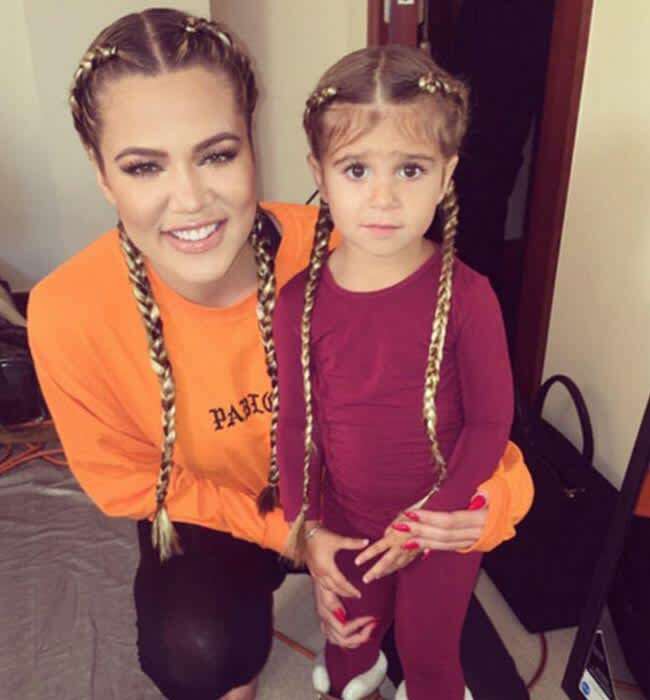 On Wednesday, Khloe and niece Penelope also wore their hair in braids. Taking to her Instagram page, the 31-year-old uploaded a picture of herself and her “mini me,” smiling sweetly for the camera.